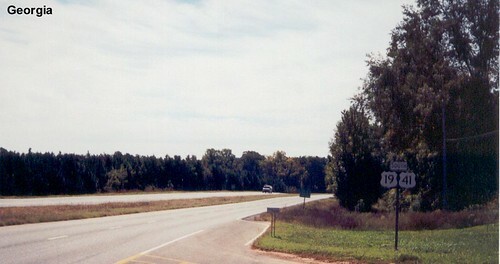 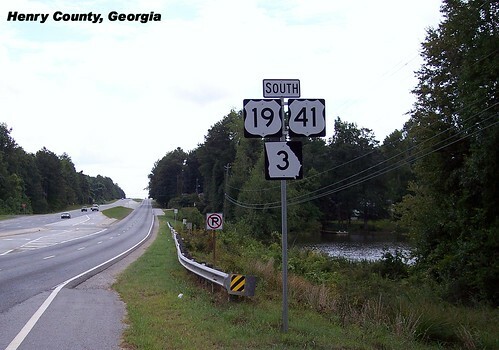 US 19 crossing the state line into Georgia. 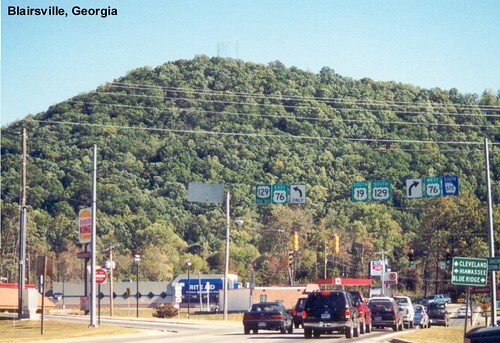 Still some mountains in Georgia. 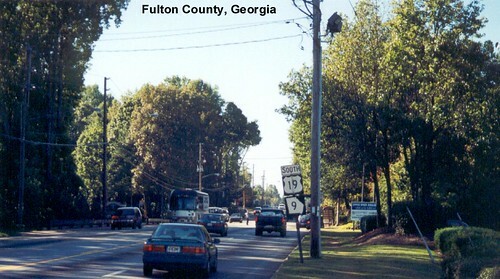 US 19 is a freeway as it heads toward Atlanta. 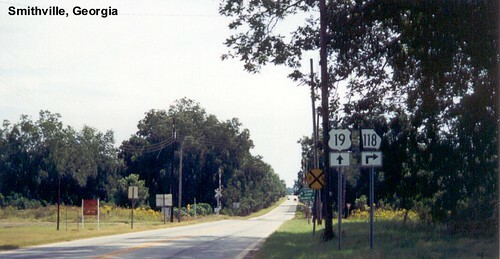 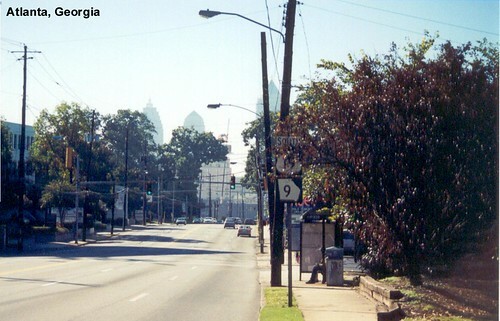 US 19 returns to surface streets as it gets closer to Atlanta. 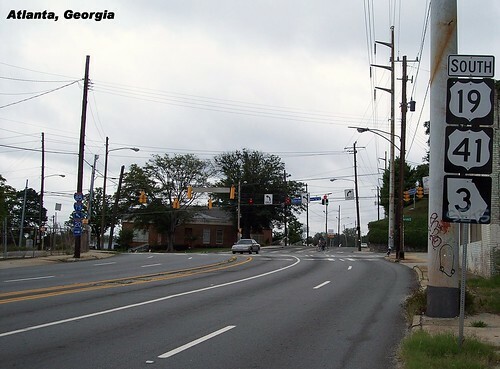 The guy in the bus shelter was not happy that I took this picture (of him). 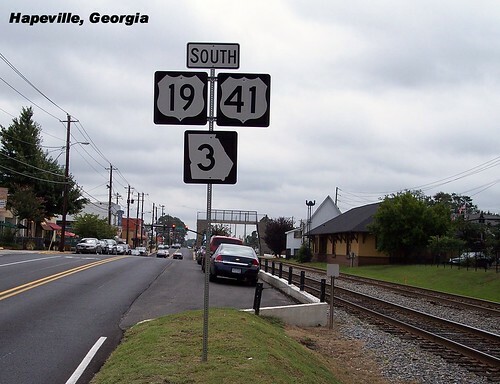 Passing the old railroad station in Hapeville. 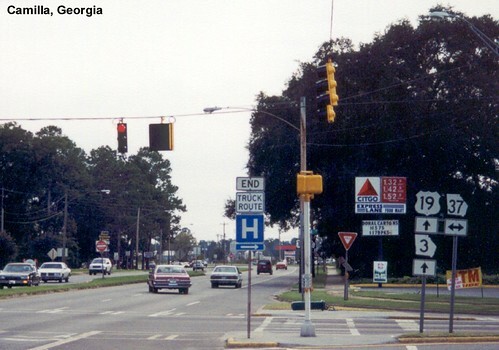 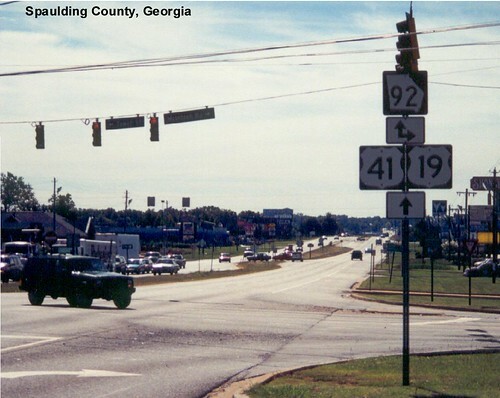 US 19 is multiplexed with US 41 for a long time south of Atlanta.